Mobilink Jazz always introduces great call packages for their cutomers to attract them. 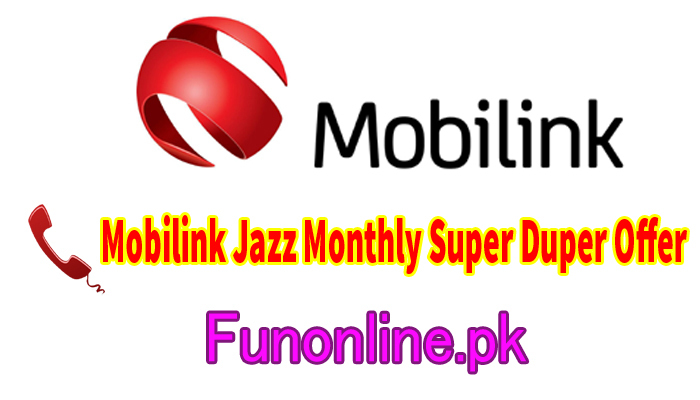 Now mobilink jazz anounnced a new jazz super duper offer monthly that give you 1200 Jazz Warid minutes, 1000 MB free internet, 100 off-net minutes and 1200 SMS for whole 30 days. You can enjoy free On net and off net minutes, sms, internet for whole month in just Rs. 380 including tax. You can stay connected to loved ones for 30 days by using these stuff. You can Subscribe this package by dialing *706#. If did not like this package and want to unsubscribe then dial *706*4#. This package can be activated in just Rs. 380 including tax. You can enjoy free 1200 minutes on jazz and warid network, 100 minutes on other networks, 1200 sms and 1000 MB free internet data and Rs 380 is not a big amount for this. You can check details of this offer in below table as all detail ie subscribe code, unsubscribe string id and info codes.